In this LGBTQ+ YA coming-of-age novel, a teenage girl grapples with the suicide of a classmate and her mother's depression, while discovering her own gender fluidity and sexual identity. Fifteen-year-old Eleanor Fromme just chopped off all of her hair. How else should she cope after hearing that her bully, James, just took his own life? When Eleanor’s English teacher suggests students write a letter to a person who would never receive it to get their feelings out, Eleanor chooses James. 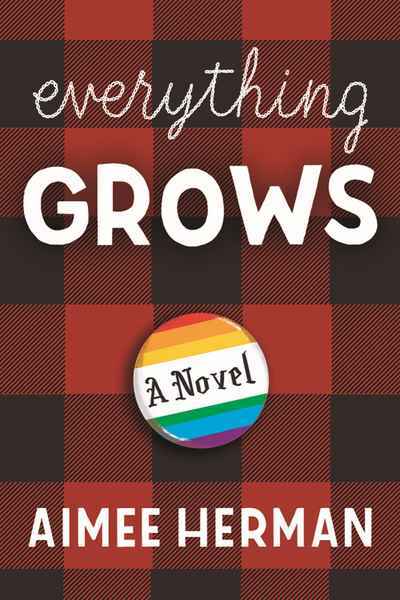 Set against a 1993-era backdrop of grunge rock and riot grrl bands, Everything Grows depicts Eleanor’s extraordinary journey to solve the mystery within her and feel complete. Along the way, she loses and gains friends, rebuilds relationships with her family, and develops a system of support to help figure out the language of her queer identity.